As the end of 2018 approaches, we would like to take the opportunity to reflect on the year that has been. Brisbane City is experiencing a re-birthing of sorts, with several amazing new buildings and precincts now lining our skies. In particular, the recently opened Howard Smith Wharves and its various establishments offer an opportunity for a quiet afternoon or noisy night enjoying the amazing view of the city over the Brisbane River. The 2018 Brisbane property market has been tough but fair, and we are continuing to see strong sales across all of our projects. This is reflective of the market’s appetite for quality, owner-occupier targeted homes in good locations. The ongoing negative publicity regarding a ‘unit oversupply’ in Brisbane, developer lending restrictions, and the recent APRA-driven lending restrictions on purchasers have seen a reduction in the number of developments proceeding and in turn, the amount of developers leaving the SEQ market has slowly increased. The reduced introduction of new developments has meant that what we are seeing now is of a higher quality, by reputable developers, providing genuine buyers with quality opportunities for a new home or investment. 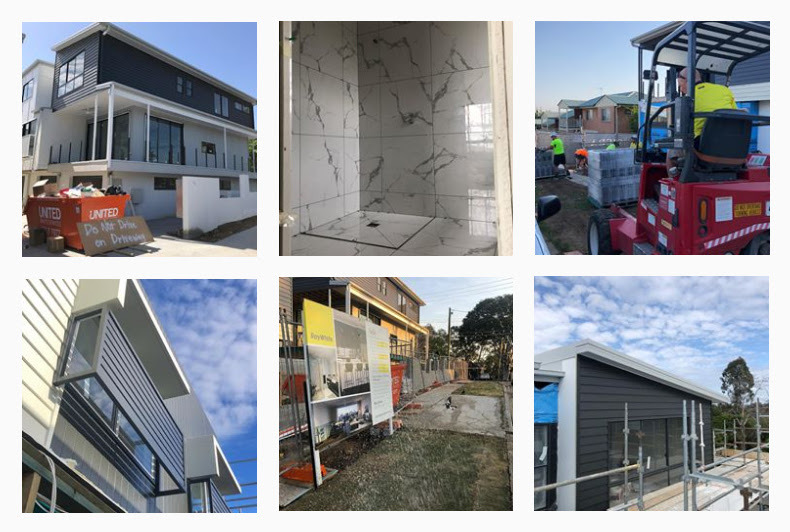 For Siera Group in 2018, we’ve been busy creating and building 24 new homes across 3 amazing projects at Sanctuary on Waratah and White Haven on Edmond in Carina, and Vista on the Green in Greenslopes. Our Construction Team has happily grown and we have welcomed four new Carpenters – Mitch, Matt, Reece and Shane, as well as three new apprentices – Harry, Zane and Jed. Their combined experience and enthusiasm ensures that our projects continue to be delivered to a brilliant standard. Our Development Team has grown too, with Natalie joining us as Assistant Development Manager, and she brings a wealth of knowledge and experience with her to Siera Group. 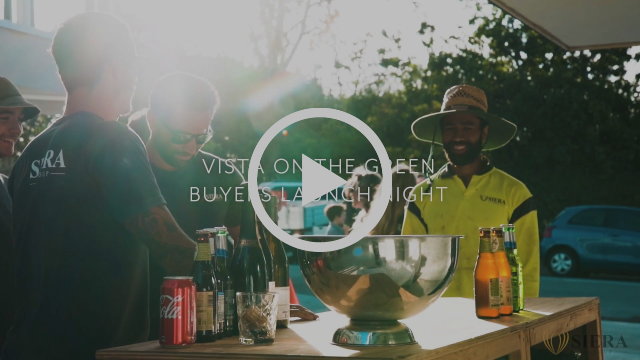 2019 is an exciting year for Brisbane – the recovery in the commodities sector, blended with housing affordability and job potential means that Queensland will continue to lead the country in interstate migration. Queensland has also entered a new era of infrastructure spending, with $45 billion committed over the next four years to build the Queensland of the future. Combine all of this with Brisbane’s ever-changing skyline and growing entertainments precincts and it becomes easy to declare this as an exciting moment in our town’s history. We would also love to take this opportunity to wish you and your family a Merry Christmas and Happy New Year! Read on if you want the latest on our projects! Vista on the Green is now effectively complete, with the landscaping finished, cleaning finalised, and minor defecting underway. Late last week we lodged our Sealed Plans with the Titles Office and are hoping for a quick turn-around so our registration is achieved and we can get our owners into their beautiful new homes early in the New Year. We recently celebrated the completion of the project with our Team, future owners, agents and our consultants. Check out the video from the event below! With only four townhouses left, now is definitely the time to check these out. Our final open-home for 2018 is happening this weekend – come and check out our recently furnished display Townhouse 3 and see what the fuss is about. Our Construction Team have been busy smashing it out and getting the site ready so that we can deliver this project in early 2019. We are excited, with one of our first items to-do when we come back from holidays being the pouring of the driveway. This is a pivotal point for any project and heralds in the final stages of construction. Our stone façade has very recently been finished and is a major part of this project’s success – We can’t wait to show you the result next month! Our townhouses herald a new era of quality for Carina, and we are excited to reveal this beautiful feature of the development. We have several exciting projects coming up in 2019, and our Development Team has been working quietly, plotting and planning to get the appropriate approvals in place. Stay tuned next year where we will reveal what’s in store from Siera Group. If you want more regular updates about what’s going on with Siera Group, follow us on Instagram! We are onsite daily and constantly add updates to our story!